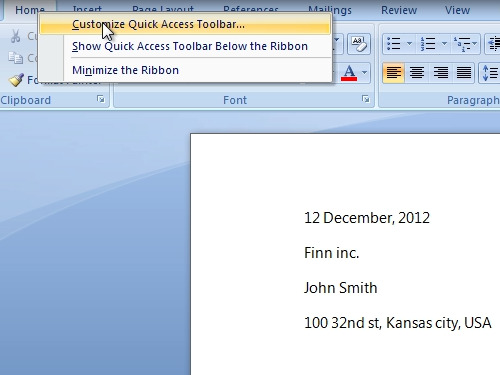 In this video tutorial we will show you how to use word 2007 autotext. 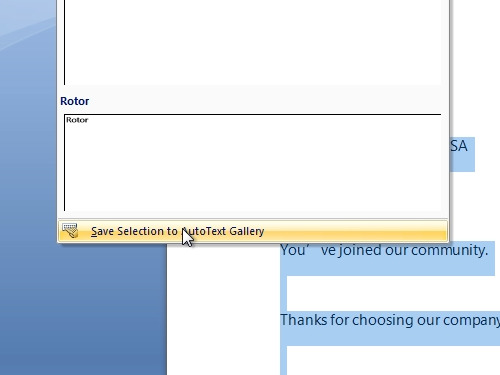 In order to use word 2007 autotext, open your document. 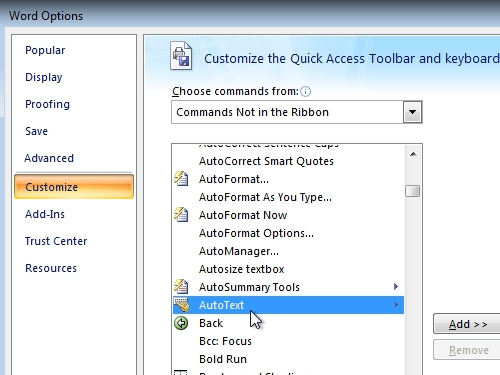 Right-click on the “Home” tab and click “Customize quick access Toolbar”. In the appeared window click on “Customize” tab. Select “Commands Not in the Ribbon”. Find the “AutoText” and click “Add”, then press “ok”. Select your text. Click “Autotext” and choose “Save selection to autotext gallery”. Choose a name in the appeared window, for example “12”. Now, when you type “12” and press “enter” key – autotext will automatically insert the saved text.